Forget car rental by the day as you know it. Carsharing is just like having your own car in Milan. We’re in near to your favorite boutique in the Galleria Vittorio Emanuele II, next to the Duomo, and all over the car2go airport parking area. Find out what it means to be #proudtoshare in Milan. 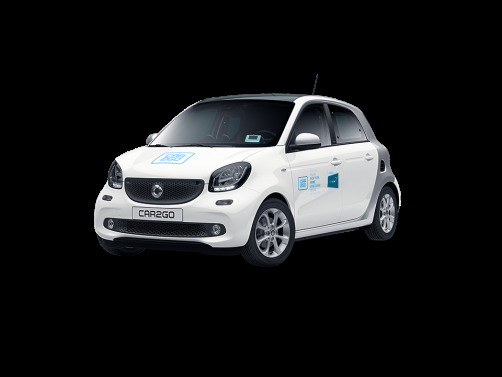 car2go is the world's first free-floating carsharing service. Our fleet operates without fixed rental stations. All you need is the app. Grab a car2go anywhere in the Home Area1 of Milan. When you're done, park it back on the streets for free. For a low price per minute that includes everything from parking to fueling, you now have a fleet of cars in the city. Owning a car is nice. But sharing is nicer. Enjoy a fleet of 1000 cars in Milan – all one tap away on your smartphone. 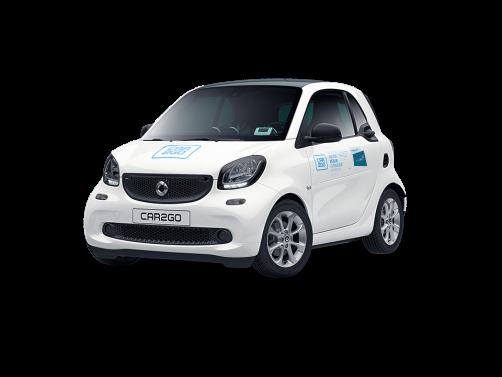 Our car2go fleet in Milan comprises a range of compact and powerful models. From boardroom to bar, you have the perfect set of wheels for every occasion. From Il Duomo to Isola– you’ve never done car rental like this before. Carsharing with car2go is a new way of moving around in the city without owning a car. No more paperwork to fill out. No more dingy rental stations to pick up your car. Start driving car2go in Milan – all you need is the app. It’s the future, only it’s right now. We work together with local governments so you can enjoy free legal street parking in Milan. You don't have to return the car to a fixed rental station. Everything is just a few taps away – on your smartphone. Unlock thousands of cars, start driving, earn credit, and join a global community – all with the app. Carsharing is friendly on cities because it reduces the number of cars on the streets. When you use car2go, you’re helping to ease traffic in Milan. We weren't voted top 10 apps of 2017 by TIME for no reason. It is 2019. Who needs car keys? I feel like being alone. I can’t carry all my shopping bags. I’ve got a date tonight. I’ve got to deliver this cake. I’ve got to go to the airport. I feel like going to Piazza del Duomo. My car is too far away. My mother is waiting for me. I feel like going to Teatro Alla Scala. 1. In all car2go cities there may be special arrangements for parking. Therefore, make sure to check them out on the website before your journey to see which rules apply in your city. If you leave your car2go outside the home area, additional costs may be incurred. 2. All prices include VAT where applicable. Additional costs and fees are listed in our fee and cost policy. 3. The rates are subject to change depending on the car model, location and start time of your reservation or trip (whichever is earliest). You will be asked to confirm the specific price before starting your reservation or trip in the app. This only applies to trips made in app versions 3.28 and newer. In older app versions, prices are: smart fortwo 0,24 €/min, smart forfour 0,26 €/min, smart fortwo cabrio 0,29 €/min. En ce début d’année 2019, car2go lance un parc automobile entièrement électrique de 400 smart EQ fortwo à Paris. 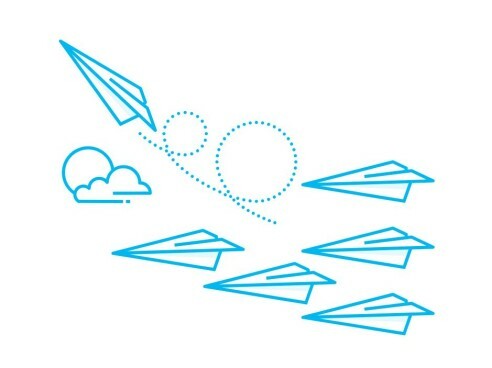 Shared Leadership is the new working model which has been implemented at car2go since September 2018. The first duo to take advantage of this new working model is Adele Gutstein and Caroline Siber. Two leaders who now share the role of Head of Customer Service Europe. Does it work? SHARE NOW fait partie de la fusion des solutions de mobilité de Daimler AG et de BMW Group, les maisons-mères à la tête de car2go et DriveNow, leaders de l'autopartage. Mais SHARE NOW est bien plus qu’un nouveau nom !